The Association of Learned and Professional Society Publishers (ALPSP) was formed in 1972. Today it is the largest trade association for scholarly and professional publishers. It has more than 300 members in 40 countries, publishing scholarly content in many different ways. Over 10,000 journals are published by ALPSP members as well as numerous books, reports, databases and other products and services. The China National Knowledge Infrastructure (CNKI) is the largest Chinese academic full-text database of research content. With more than 9800 journal titles and 44 million articles, CNKI is the most commonly used platform for Chinese readers to access academic literature. The Committee on Publication Ethics (COPE) was established in 1997 by a small group of medical journal editors in the UK but now has over 6000 members worldwide from all academic fields. Membership is open to editors of academic journals and others interested in publication ethics. COPE provides advice to editors and publishers on all aspects of publication ethics and, in particular, how to handle cases of research and publication misconduct. It also provides a forum for its members to discuss individual cases (meeting four times a year in the UK and once a year in North America). COPE does not investigate individual cases but encourages editors to ensure that cases are investigated by the appropriate authorities (usually a research institution or employer). All COPE members are expected to follow the Code of Conduct for Journal Editors. COPE will investigate complaints that members have not followed the Code. COPE also funds research on publication ethics, publishes a quarterly newsletter and organises annual seminars in the UK and the USA. COPE has also created an audit tool for members to measure compliance with its Code of Conduct and Best Practice Guidelines for Journal Editors. Launched in March 2002, COUNTER (Counting Online Usage of Networked Electronic Resources) is an international initiative serving librarians, publishers and intermediaries by setting standards that facilitate the recording and reporting of online usage statistics in a consistent, credible and compatible way. The first COUNTER Code of Practice, covering online journals and databases, was published in 2003. COUNTER.s coverage was extended further with the launch of the Code of Practice for online books and reference works in 2006. The body of COUNTER compliant usage statistics has steadily grown as more and more vendors have adopted the COUNTER Codes of Practice. This has contributed to the new discipline of usage bibliometrics and a great deal of work is underway to try to establish .value metrics. associated with usage, in which the COUNTER compliant statistics play an increasingly important role. Dove Medical Press is a proud sponsor of the Directory of Open Access Journals (DOAJ). The aim of the DOAJ is to increase the visibility and ease of use of open access scientific and scholarly journals, thereby promoting their increased usage and impact. The DOAJ aims to be comprehensive and cover all open access scientific and scholarly journals that use a quality control system to guarantee the content. In short, the DOAJ aims to be the one stop shop for users of open access journals. Launched in 2002, HINARI Access to Research in Health programme falls under the umbrella of Research4Life and is managed by the World Health Organization (WHO) in partnership with Yale University Library and over 160 publishers. 5300 public institutions in over 100 eligible countries have already registered to HINARI, which provides access to over 11,400 journals (in 30 different languages), up to 18,500 e-books, and up to 70 other information resources. The journals can be searched through a special version of PubMed (Medline), and other article indexes. The Open Access Scholarly Publishers Association (OASPA) represents the interests of open access journal and book publishers internationally. The association aims to support their members through the exchange of information, setting standards, advancing and advocating open access models, educating and promoting innovation in relation to open access in scholarly publishing. This includes the informative OASPA blog to help keep members updated on industry news. In this age where the Internet is being used to archive more and more journals, the development of common search standards to sift through this wealth of information is crucial to making it both accessible and fully searchable for the academic community. The Open Archives Initiative (OAI) Metadata Harvesting Protocol is a set of uniform standards which allow "metadata" on archive holdings (i.e. a description of the information within the archive, eg title, authors and abstract of a research article) to be automatically shared between archives. Dove Press supports the OAI Metadata Harvesting Protocol. Metadata for all the articles we publish is available via our OAI interface. ORCID, Inc. (Open Researcher and Contributor ID) is a non-profit organization dedicated to solving the name ambiguity problem in scholarly research and brings together the leaders of the most influential universities, funding organizations, societies, publishers and corporations from around the globe. The ideal solution is to establish a registry that is adopted and embraced as the de facto standard by the whole of the community. A resolution to the systemic name ambiguity problem, by means of assigning unique identifiers linkable to an individual's research output, will enhance the scientific discovery process and improve the efficiency of funding and collaboration. Dove Press is a participating organization of the ORCID initiative. The Publishers Association (UK) is the leading representative voice for books, journal, audio and electronic publishers in the UK. They have over 100 companies in membership who publish academic journals, text books for higher, secondary and primary education, fiction, non-fiction, children’s and learning resources. The Publishers Association role is to support publishers in their political, media and industry stakeholder communications. Members benefit from strong representation on key publishing issues, both nationally and internationally. A forum is also provided for the exchange of non-competitive information between publishers, as well as a wide range of free and discounted services. Research4Life provides developing countries with free or low cost access to academic and professional peer-reviewed content online. Research4Life is a public-private partnership of the WHO, FAO, UNEP, WIPO, Cornell and Yale Universities and the International Association of Scientific, Technical & Medical Publishers. Working together with technology partner Microsoft, the partnership’s goal is to help attain six of the UN’s eight Millennium Development Goals by 2015, reducing the scientific knowledge gap between industrialized countries and the developing world. 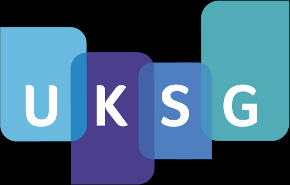 The United Kingdom Serials Group (UKSG) helps connect nearly 500 organisations worldwide with researchers to encourage community integration, networking, discussion and the exchange of ideas. The vision for UKSG is to use their breadth of knowledge and influence to facilitate an efficient information chain, a better information experience for scholars, and a world where all members of the scholarly and professional information supply chain understand each other.